1955: Racer and heir to a gold mining fortune, “Grandpa” Eddie Hearne died aged 68. Born in Chicago, Hearne participated in the inaugural Indianapolis 500 and later was a long-time Duesenberg factory-backed driver. 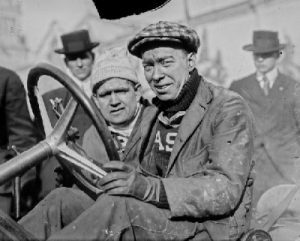 He made 106 AAA Championship Car starts and continued driving until 1927, winning 11 Champ Car races and the 1923 National Championship. He only crashed once and won a total of $120,967. 1987: American driver Andy Linden died aged 64. After serving as a US marine, this colossus of a man raced in seven grands prix when the Indianapolis 500 was a part of the Formula One championship. He had shown huge amounts of skill as a sprint and midget racer and finished in the top six at three of the Indy 500s he competed in. His career ended when he was left brain-damaged after a shard of metal pierced his helmet during a race in 1957. He was confined to a wheelchair but learned to walk again before his death. 1993: Ron Dennis announced his McLaren driver line-up as Mika Hakkinen and Michael Andretti, leaving three-time F1 champion Ayrton Senna without a drive. It had been no secret that Senna wanted to drive for Williams in the upcoming season but his fierce rival Alain Prost, who was already confirmed at the team, vetoed the move. Facing a year on the sidelines, Senna decided to go back to McLaren and took Hakkinen’s place for the opening round in South Africa. He scored five victories in his final year with the team but Williams dominated and Prost took the title. Senna finally moved to Williams in 1994 but was killed in an accident at the San Marino Grand Prix. 2003: Max Mosley warned that Formula One couldn’t rely on manufacturer teams alone and needed to become more accessible for independents. He said that the likes of BMW, Ford, Honda, Mercedes and Renault had a proven record of pulling out of the sport and truly independent teams like Williams and Jordan should be helped out. The comments were largely ignored but six years later Mosley’s vision had come true as BMW, Ford, Honda and Toyota had all left the sport. 1951: Marshall Teague drove a Hudson Hornet to victory on the beach oval of the 160-mile Daytona Grand National at Daytona Beach, Florida, beginning Hudson’s extraordinary run on the NASCAR circuit. In 1948, Hudson introduced the revolutionary “step-down” chassis design that is still used in most cars today. Until Hudson’s innovation all car drivers had stepped up into the driver’s seats. The “step-down” design gave the Hornet a lower centre of gravity and, consequently, better handling. Fitted with a bigger engine in 1951, the Hudson Hornet became a dominant force on the NASCAR circuit. For the first time a car not manufactured by the Big Three was winning big. Excited by the publicity generated by their success on the track, Hudson executives began directly backing their racing teams, providing the team cars with everything they needed to make their cars faster. The Big Three, fearing that losses on the track would translate into losses on the salesroom floor, hurried to back their own cars. Thus was born the system of industry-backed racing that has become such a prominent marketing tool today. The Hudson Hornet would contend for nearly every NASCAR race between 1951 and 1955, when rule changes led to an emphasis on horsepower over handling. 1953: NASCAR conducted its fourth annual Victory Dinner at the Princess Issena Hotel in Daytona Beach. Lee Petty was named Most Popular Driver, the first time the award had been given out since 1949. 1958: NASCAR legend Marshall Teague died at age 37 attempting to raise the closed-course speed record at the newly opened Daytona International Speedway. The “King of the Beach” was conducting test sessions in preparation for the April debut of the United States Auto Club championship with Indy-style roadsters. He was piloting a “Sumar Special” streamliner, a Kurtis-Kraft chassis with a Meyer-Drake Offenhauser 270 engine, streamlined fenders, and a canopy enclosing the driver, thus being classified as Formula Libre. On February 9, 1959, Teague set an unofficial closed course speed record of 171.821 mph (276.5 km/h). Teague was attempting to go even faster on this day, eleven days before the first Daytona 500. “Teague pushed the speed envelope in the high-powered Sumar Special streamliner – to an estimated 140 mph (230 km/h). His car spun and flipped through the third turn and Teague was thrown, seat and all, from his car. He died nearly instantly. 1962: Dan Gurney driving a Lotus 19B-Coventry Climax won the World Sportscar Championship Daytona 3 Hour race, covering a distance of 502.791 km. 1971: Pete Hamilton and David Pearson won the twin 125-mile NASCAR Grand National qualifying races at Daytona International Speedway. Hamilton beat A.J. Foyt by 3 feet to win the first race. Hamilton made the winning pass when Foyt eased off the throttle for Ron Keselowski’s flipping car, allowing Hamilton to close and pass. It was Hamilton’s first start in Cotton Owens’ Plymouth. Pearson drove his Holman-Moody Mercury by Buddy Baker’s Petty Dodge with 6 laps to go to take the second race. 1973: At the Brazilian Grand Prix at Interlagos, Emerson Fittipaldi took top honors as Ronnie Peterson had the misfortune of losing a wheel on lap 6 after taking pole for that race. Jackie Stewart in his Tyrrell was second 13.5 seconds back and Denny Hulme finished third and also set fastest lap of the race. Stewart made a spirited drive up from 8th on the grid to finish as well as he did. Arturo Mezaro also had a good drive to finish 4th, 1 lap down, but he started from 17th place on the grid. 1979: Buddy Baker beat Darrell Waltrip by one car length to win the inaugural NASCAR Clash at Daytona International Speedway. Baker averaged 193.384 mph for the 10 laps. 1985: Racer Lee Shpherd (40) died when he crashed during in a race in Ardmore, Oklahoma, US. 1994: Four years after suffering a serious head injury in a crash that threatened his career, NASCAR veteran Neil Bonnett, 47, was killed on the first day of practice for the Daytona 500 at Daytona International Speedway. 2001: Legendary, six-time NHRA Pro Stock Bike champion, Dave Schultz died of colon cancer at age 52. 2003: Two-time F1 world champion Emerson Fittipaldi announced his return to the Champ Car series as a team owner. 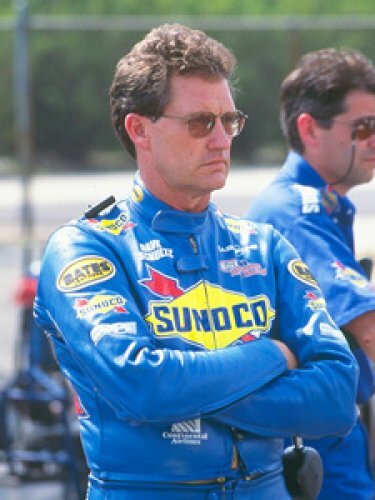 He had retired from the series in 1996 after a massive accident at Michigan. Initial reports in 2003 suggested he would race in the series but in the end he recruited Tiago Montiero to do the job. The team raced for just one season with disappointing results, making it even less successful than Fittipaldi’s F1 team that he owned with his brother and scored just three podiums in 103 races.